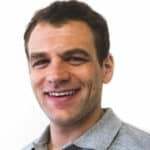 Select the size mattress you would like, whether you would like to include the pillow-top or not and then click ADD TO CART. 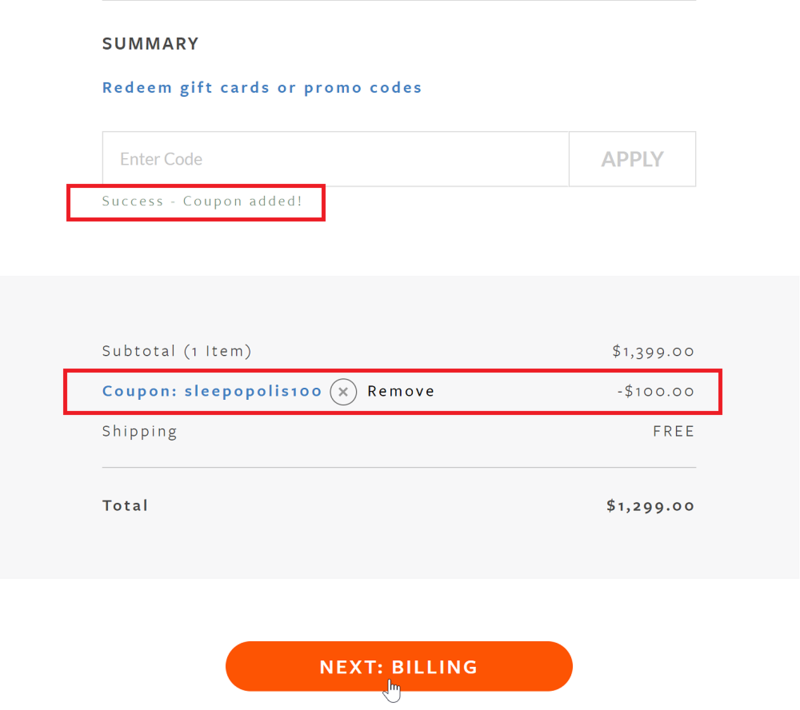 Confirm the correct products are in your cart and click CHECKOUT. 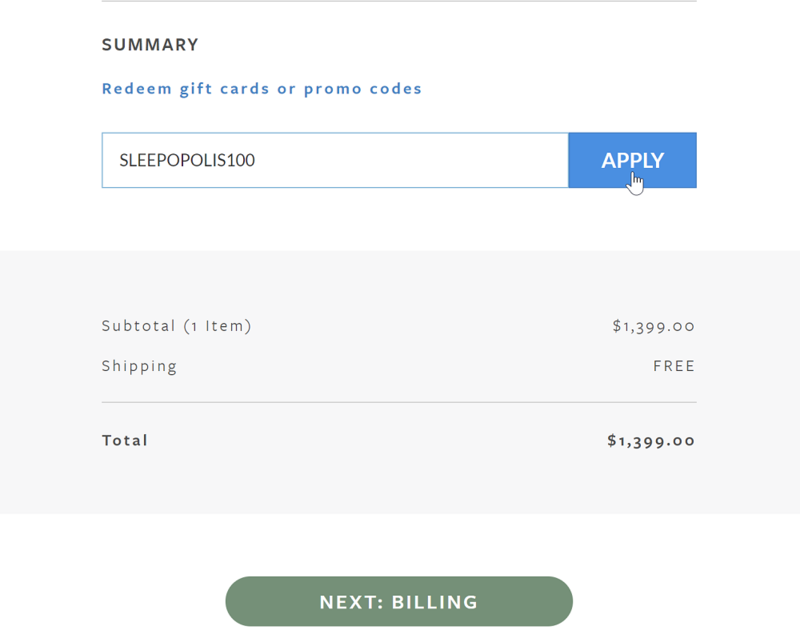 After entering your personal information you can enter the promo code SLEEPOPOLIS100 in the discount section of the page and click APPLY. 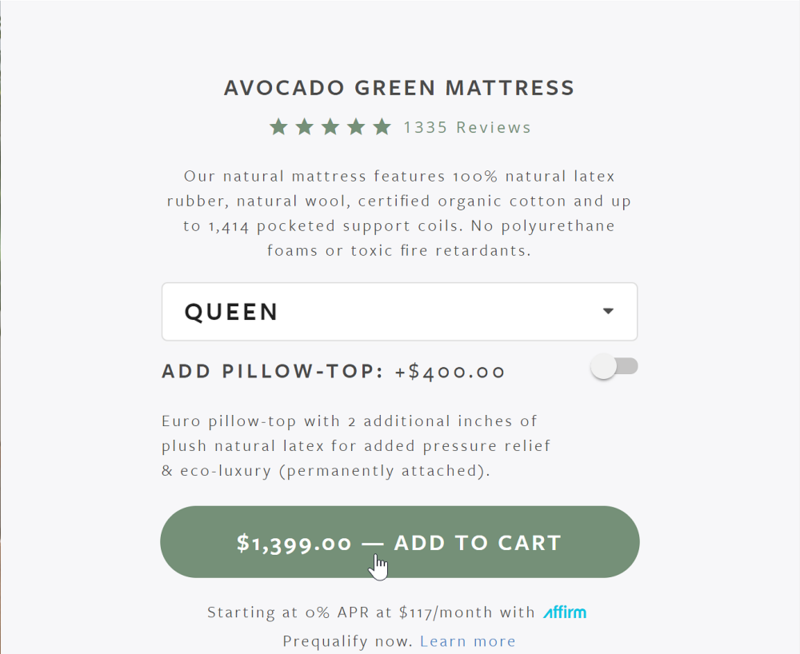 Congratulations, you just saved $100 on your Avocado Green mattress. Enjoy sleeping on your new Avocado Green mattress!